Volunteers assisted Mike Etnier and Nathan Harmston at the “All About Teeth” Annual ACZ Workshop at this year’s Alaska Anthropological Association Annual Meeting in Fairbanks, Alaska. ACZ volunteers hosted a hands on display of the collection at International Archaeology Day with UAA in October. Volunteers worked with archaeologists from Cultural Alaska and USACE to plan and host activities and a display at World Anthropology Day with UAA in February. Jason Miszaniec at UC Davis was selected for this year's Christina Jensen scholarship. He's studying Northwestern Alaska subsistence. 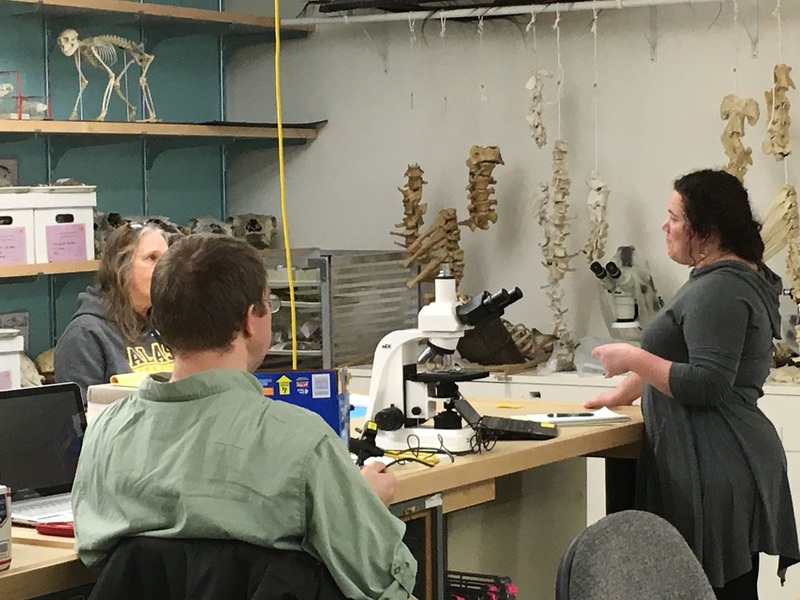 ACZ partnered with NPS to teach Girl Scouts of America Women of Science scouts about the benefits of heritage documentation and archaeological methods, in February. This is a big year for ACZ. You've all donated personal time and resources over the past 20 years to build a phenomenal collection used for archaeology in Alaska and the Arctic and to expose students of all ages to biology and culture. Here are the 2015 - 2016 highlights. View the collection. 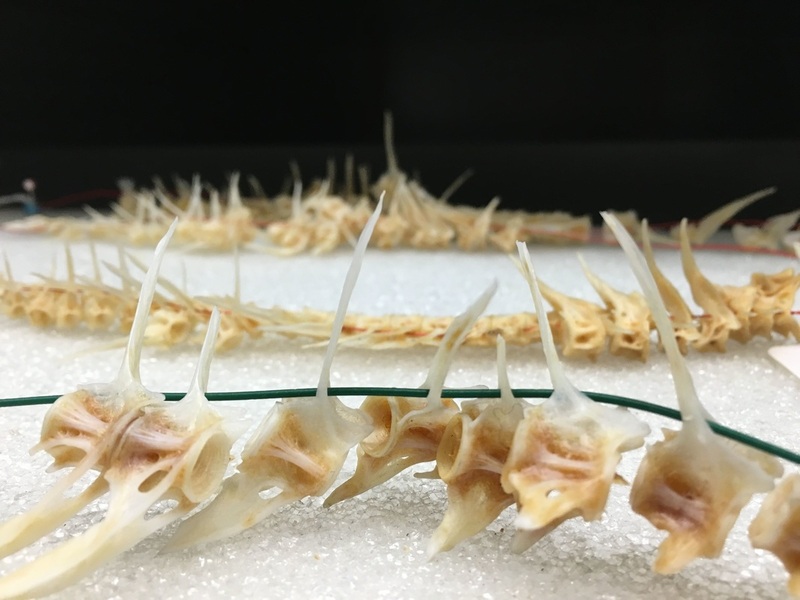 Volunteers spent their evenings and weekends processing and housing (in their own freezers and backyards) over 430 specimens, in the past 20 years. A collections inventory by volunteers will follow. 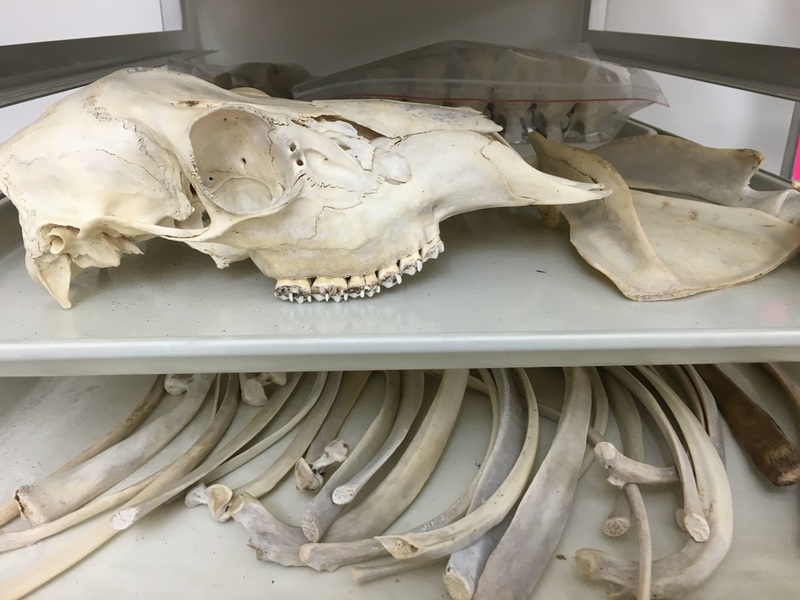 ACZ got new black bear specimens from the Anchorage area. These were processed by Prof. Ryan Harrod and UAA forensics students. Our Marine Mammal Stranding Agreement with NOAA was extended to December 2017. If you think you might be collecting for the ACZ, please contact us. We'd like to make sure we’re following the specific collection guidelines in the agreement. Let's celebrate our 20th year and recognize the tenacious souls who helped start the ACZ in the '90s! September/October 2016. Contact us to participate in planning or arrange to get ACZ fundraising merchandise at your event. Let's keep it going for another 20! At International Archaeology Day in October 2015, the ACZ displayed over 20 specimens and volunteers hung around to connect with kids and adults. At the Girls Scouts of America Women of Science event in February 2016, ACZ volunteers partnered with the National Park Service. We presented six workshops for K-12 students and participated in a mentor luncheon. The ACZ now has a public Facebook page. Join the conversation and get updates.